During the day, I continued to teach Windows programming around the country. But at night, I "dreamt" I was in a classroom setting, spending hours being taught things I couldn't remember when I woke up. Dreams are not an impenetrable puzzle. People who research these things, including that psychiatric icon, Carl Jung, long ago noted that the vast majority of dreams carry messages from our unconscious selves to our waking selves and these messages, couched primarily in the language of symbols and images, can be decoded. Most people don't bother to do this; many are unaware that the research has been done. But that doesn't change the reality. Dream dictionaries can be purchased at any bookstore; today there are even web sites that help interpret the messages hidden within one's dreams. But while nearly all dreams—I will make up the statistic of 97%—are composed of these understandable messages, there are a few that do not fit the pattern. Most of the remaining 3% are truly precognitive dreams. 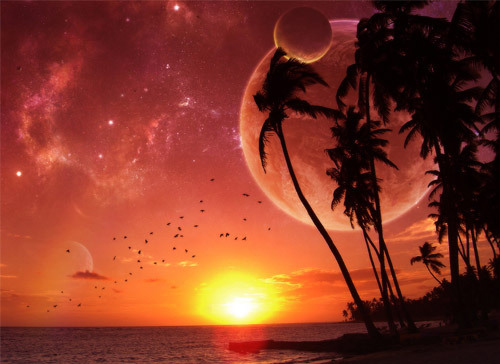 Jane Roberts conducted experiments in the 1960s that proved a substantial number of dreams incorporated precognitive elements, while a few were nothing less than "previews" of events yet to come. The majority of such elements were significant to the experimenter but not particularly important: They predicted unexpected visits of individuals known to the dreamer, changes of jobs and even, in one instance, a leaky pipe. To those who have studied quantum mechanics, the idea that "time" is more of an illusion than a barrier is not a surprise. In fact, the real mystery in quantum terms isn't that the future can be predicted, but rather why we don't all do it all the time. 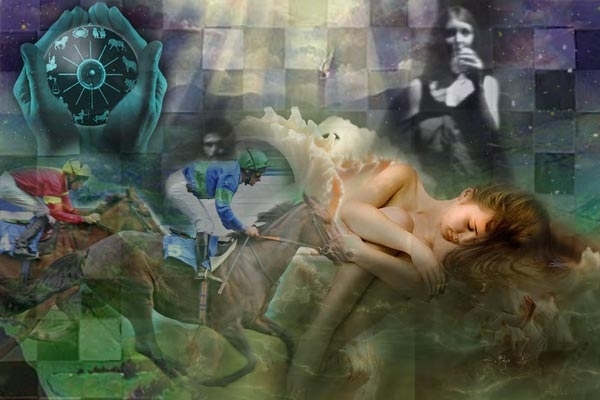 A few dreams remain that do not fit into either the "message" or "precognition" categories. These are dreams that do not seem to predict anything, and that do not contain the same richness of symbology as a "regular" dream. My sitting in a classroom for hours was an example of that. This is not to say that a classroom can't be a symbol; of course it can (to dream that you are in a classroom symbolizes that you are learning an important life lesson). But such a symbol would normally be incorporated into a dream with many symbols that would point to exactly what the life lesson was. In these dreams, the only symbols were myself, the teacher (usually nondescript) and a few students (also nondescript). The desks were old-time school desks, which as a symbol would indicate the lesson being learned was an old one. But there were two additional aspects to these dreams that made them stand out. 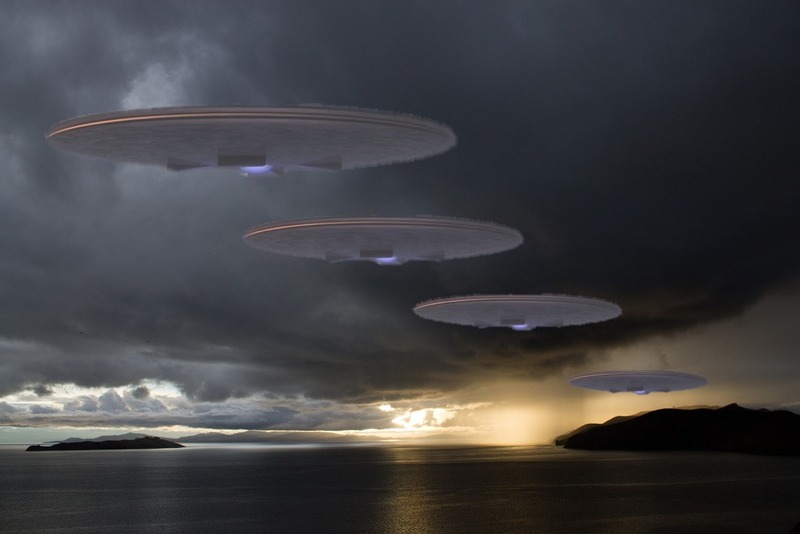 All the abductees who had sent mental images to the aliens, were now experiencing similar dreams on the same nights. The pattern was simple: Two nights in the classroom followed by one night of "normal" dreams and rest. Of course, we immediately suspected abductions. But several of the abductees who lived with spouses reported the spouses had gotten up during the night and the abductee was still in bed, though impossible to rouse. That left astral projection as the most likely explanation. As with so many aspects of our world, many people are uninformed regarding astral projection; I daresay most don't even know it might exist. Nevertheless, it is a researched phenomenon; the Monroe Institute is just one place where people can pay to learn the technique. It is related to (but not the same as) Remote Viewing, a skill even the U.S. Government recognizes—and employs. In both cases, the percipient can "observe" with measurable accuracy places and events physical separate from him or herself. 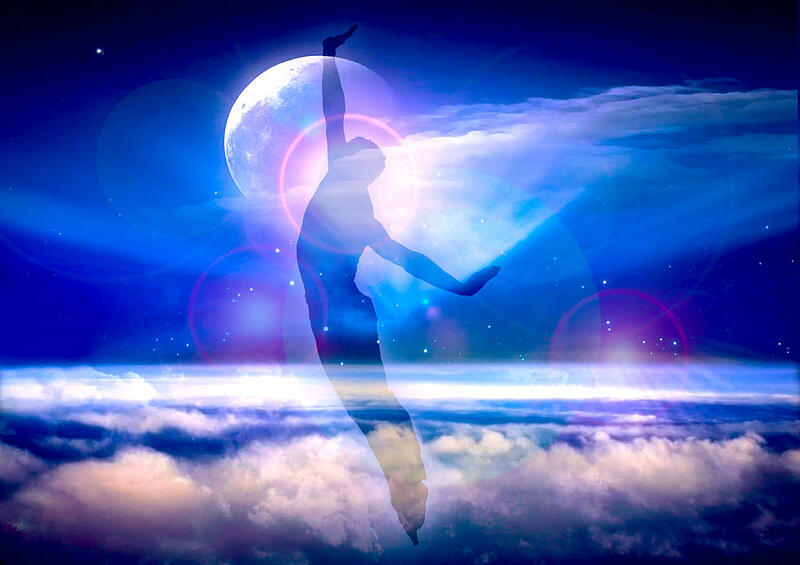 In astral projection, the experiencer has the sensation that his or her consciousness has left the physical body; remote viewing is more like what I've described as "seeing around corners," simply knowing, somehow, what something looks like without seeing it as through eyes. I'll save my ruminations on this topic for another day. The point for now is, we abductees decided that our "astral" selves were being taken somewhere for these classes while our bodies supposedly slept; but because we weren't truly dreaming, we got no quality rest. Since I only taught every other week or so, this schedule didn't affect me in a greatly negative way. No matter how little sleep I got at night, the next week I could make up for it by sleeping during the day. But one week I was teaching in Alexandria, Virginia, and met Suzette from the Support Group, who lived nearby, for lunch. As we ate, she kept yawning. Finally, she explained the problem. "It's not just not resting at night," she said. "It's that I have to get up early to get the kids ready for school and my husband off to work, and then spend the day at work myself, and then get home in time to make dinner for everyone, and help the kids with their homework afterwards, and then do the housework. 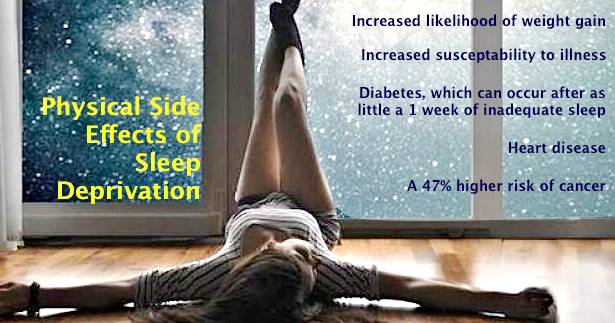 So I only get about six hours of sleep a night on a good day. Now I don't get any rest at all two out of three nights." She had been suffering the effects of sleep deprivation, she said, even once hallucinating while driving. "Why can't your husband help with the housework and the homework?" I asked the obvious. "Even without the nighttime classes, that would seem to be reasonable, since you both have jobs." "Please don't even suggest it," Suzette begged. "At the least he'd hit me; at worst he'd leave and then I'd be stuck with the same work—but only one salary to pay the bills. And I make more than he does; he would ask for alimony." Too bad the aliens don't abduct people like that—and keep them. As Gilbert and Sullivan once suggested, I've Got A Little List of people we'd do well to be without. But after a few weeks of this, I decided I wanted to know what I was being taught. So, as an experiment, I hypnotized myself and gave myself the post-hypnotic suggestion that, should I ever be "taken out of my body" by visitors, I would immediately become lucid and have full recall, later, of all that transpired. That night was a "scheduled" class night. I went to sleep as usual. plenty rested because I wasn't teaching that week and so was able to nap during the day. I awoke in my sleep to find myself in a classroom, where the teacher was none other than Lucy Ricardo. Not Lucille Ball. This was the character Ms. Ball had played in I Love Lucy, even wearing one of the frocks fans of that show would find familiar. She was so vivid I could smell her perfume. But as I became aware, Lucy turned and looked at me sharply. "You aren't supposed to remember this until the proper time," she said. "I need to know what I'm being told," I responded. "I need to know whether I want to cooperate or not." As I looked around the classroom I recognized my fellow abductees Suzette, Ann, Holly, and Aitan. They seemed only dimly aware I was there. "Paul," Lucy said, "you agreed to this procedure many lifetimes ago. No human can be taken against his will; you know in your heart this is true. Why question the process now?" I shrugged. "Maybe this is also something I agreed to. Maybe you agreed to it, too." Lucy sighed. "Well, you still won't remember much detail. Most of your instruction will be in the form of images. But for your own sanity we will not let this happen again." "It's a deal," I agreed. "But I do have a question. Why do you look like Lucy Ricardo?" "I am one of the symbols," Lucy replied. "You'll figure it out in the morning. Now, let us go." The walls of the classroom fell away and we found ourselves on a dull, gray, desert plain. Except for a few rock outcroppings, the landscape was nearly featureless, with colorless sand on the ground and a leaden sky overhead. The smell of rot was almost overpowering. However, there was one thing that stood out: An alien spacecraft of the "flying saucer" variety. It floated maybe six feet off the ground; a ramp extended from the bottom and one of the gray-type aliens stood on it, waving a group of ragged humans to come toward him. "This is what it will look like," Lucy said. "Earth will no longer be habitable, and most life on it will already be dead. The Nibiruans will have been here, watching, but doing nothing and humans will have cursed them for causing the catastrophe. But at the last possible moment, they will preserve the few survivors. Understand that you, if you are among them, will be very suspicious. After all, you'll remember the way they took you onto their ships and experimented with you. But there will be no time to reflect. The winds and shockwaves will be right behind you. When the Nibiruans invite you in, you must run! Climb in." I raised my hand. 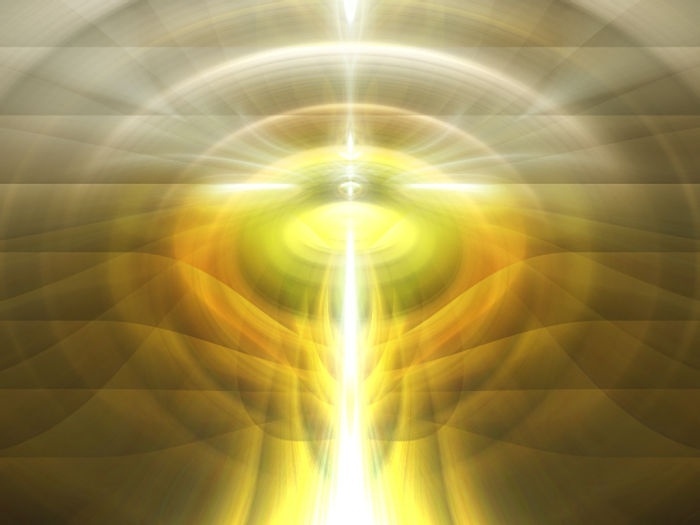 "Who are the Nibiruans? I thought the gray guys were Zeta Reticulans." Lucy folded her arms. "Do your homework," she commanded, frowning. As we watched, only a handful of humans did not run from the ship. The moment they disappeared up its ramp it retracted; the ship rose rapidly into the air. A shock wave instantly obliterated those who had stayed behind. I cringed. "Remember, allowing their bodies to be stripped away does those who remain a favor." As the wind cleared, although the bodies were gone, I could see the victims' astral or spiritual selves in their place. While their expressions looked puzzled, they did not seem to be in distress. Now the scene changed. The classroom now rested on the shores of a vast lake. Somehow I could sense the air was very thin. There were thousands of people crowding the shore, with many more stepping out of flying disks that flew away as soon as they were empty. "Lake Titicaca," Lucy announced. "The way station for survivors." Lake Titicaca, I knew, has the distinction of being the world's highest navigable lake. Soon, with the sky cleared of the smaller saucers, a huge craft descended. It was painted in bright colors and had a central hub, which touched the land while half the bulk of the craft remained suspended over the water. A humanoid with wide-set eyes stepped out and waved the crowd of humans to step forward, which they did in an orderly fashion. When all had boarded, the craft rose but this time those of us in the classroom followed it. Earth dropped away beneath us, the sky changing from gray to blue to indigo to black. The Moon rushed past us. Then nothing seemed to happen for a bit. Suddenly, there was a blinding flash ahead of the ship which engulfed it and us. When I could see again, we were suspended beneath an earthlike planet which filled the sky over our heads. "This is the second planet outward from Alpha Centauri," Lucy identified. "It is not presently in use." We flew to its surface, which was mostly ocean. Somewhere along the line it switched from seeming to be above us to below us. A long archipelago stretched in a gentle curve near the equator. We came to rest among palm trees, or something like them. "Is this, like, a holodeck?" I asked, referring to the gymnasium-sized simulators on the TV series Star Trek: The Next Generation. Lucy didn't answer, but directed us to leave our seats and step on the classroom floor. I felt sand crunch beneath my bare feet, felt the sun warm my skin and the breeze caress the hairs on my body. "For the past two centuries, we have been planting Earth vegetation here. We have no right to completely supplant the native vegetation, so we chose plants that humans can eat but that would also co-exist with the native ecology. I hope you appreciate the study and effort that went into this project." "But why?" I asked. I seemed to be the only one asking questions, perhaps because I was lucid. "If it's doing people a favor to allow them to die, isn't it doing them a disservice to help them survive?" Lucy looked at me curiously. "Your soul agreement is to preserve the species you call Homo sapiens," she replied. "For half a century Earth will be uninhabitable, according to our best calculations. You will spend that time here. When you can return to Earth, you'll be taken there." "But what about all the other animal species?" I asked. "We're part of an ecology; we can't survive without at least some of the others." "Other species will be preserved as well, in much the same way. We'll also be making use of the Nibiruan technique of cloning, which they used to preserve the range of species during the last extinction-level event." Lucy looked disgusted. "Do your homework!" As I stood on that ground, I could "feel" all the way to the planet's core. It felt distinct from Earth, but also, in some weird sense, like home—perhaps a childhood home, one you'd been away from a long, long time. "This place feels familiar," I said. "It should," Lucy agreed. "The Nibiruans have been splicing bits of DNA from here into your own genome for years. Thanks to that, you'll even be able to eat some of the plant life here!" I was stunned. "That's what the abductions have been about?" "That's one thing," Lucy replied. "We are extremely efficient. There is not one single aspect of a contact with you that is wasted. Even when you awaken and see a bruise, that is intended. It gets you to think a certain way, or react a certain way." Suddenly, I was alone—Lucy, the classroom, the other students, all vanished, leaving me standing in the jungle. I felt normal. But I knew that, logically, this was at most an astral projection and at least a lucid dream. Either way, I should be able to fly. At the thought, I rose a few feet above the jungle floor, littered with a thin layer of strangely shaped leaves and other detritus. I wondered what was in the ocean, and instantly found myself below its surface, north of the archipelago. 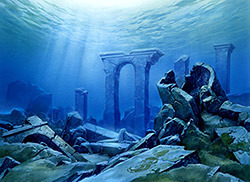 The water was shallow; light penetrated to the bottom, where I found the ruins of an enormous, sunken city. I flew through its long-deserted streets for a few minutes, trying to imagine how long since it had sunk. Mud filled its streets to a depth of at least several stories. I had the distinct feeling that the inhabitants had caused this environmental disaster, and that there had been no survivors…which was why this planet was "available". I tried returning to Earth through space, but it was too far and I wasn't certain of the direction. But then I realized I only needed to picture Earth and I'd be there. I did so, and found myself back in the classroom. The teacher was now Superman. "What happened to Lucy Ricardo?" I asked. "We're team teaching," Superman replied. "You're not really Superman," I announced. "And you're not really Paul Cilwa. What's your point?" I shook my head. I didn't have a point. "Humans have the cultural tendency to speak the obvious," Superman said. "'It's a nice day,' or 'you're very tall.' I want you to see something that should be just as obvious, but is often obscured by the minutiae of your daily lives." And, with that, somehow we were lifted out of the third dimension. I cannot describe what I saw. I can barely remember it. But I'll try. Every aspect of reality appeared to me as a building block. The existence of the Earth; the chemical composition of water; the properties of electrons and quarks and the way surface tension works and how crystals find their shapes—each of these was manifested as an irregularly-shaped solid, as were the way the sun feels when it warms your skin and the softness of a baby and the taste of soda pop. Functions of reality such as reincarnation, the gravitational constant, the expanding/collapsing Universe, and bicameral government composed blocks as did racism, cubism and Communism. And every one of these blocks fit into the others perfectly, with no space wasted. I understood the message perfectly: The Universe is, as it must be. It is perfect. Nothing can be added; nothing subtracted. When it appears imperfect to us, it's only because we are choosing to ignore the big picture. And that trait is also a one of the solids. It is not a fault; it is part of the perfection of All That Is. When I awoke my head was spinning. I remembered it all but it wasn't processed. I realized this was the reason we usually awoke without remembering what we'd been taught; it might take years before these concepts could make their way from our subconscious minds to any useful form. 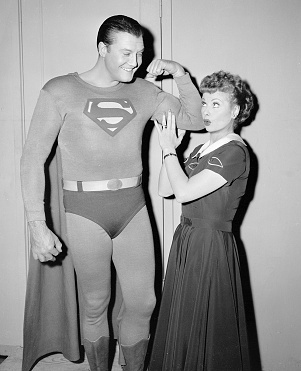 Now that I was awake, I could ponder: Why the images of Lucy and Superman? It didn't take too long to realize that both represented people who only show parts of themselves to the public. 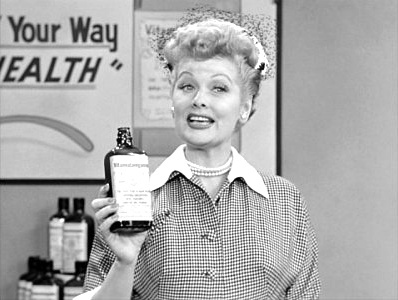 Ricky, Ethel and Fred were unaware that, at her core, Lucy was Lucille Ball, Hollywood TV producer and the "Queen of Television." Similarly, the people who knew Superman were unaware that he was secretly a mild-mannered reporter. The purpose of the class had been to show a reality that was hidden beneath "regular" reality. What we think of as "real" is not false, but is not the whole truth either. Thus, the personas of Lucy and Superman had contributed to that lesson. I had some outstanding questions. Who were the Nibiruans? What previous disaster had required alien intervention to prevent extinction? As Lucy Ricardo had pointed out, I had some homework to do.